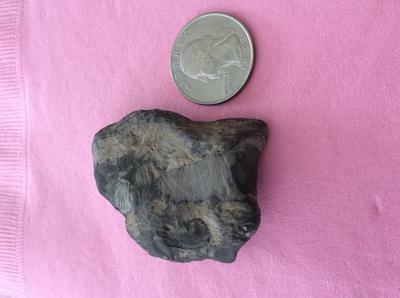 A few weeks ago, my daughter went rafting on the Cheat River in WV and found this fossil on the banks while eating lunch. She has been reaching out to anyone and everyone to assist in identifying her find, including the Natural History Museum. The Natural History Museum does not assist in identifying her find. Looking for some insight. Thank you! Thank you Douglas for the feedback you gave us. 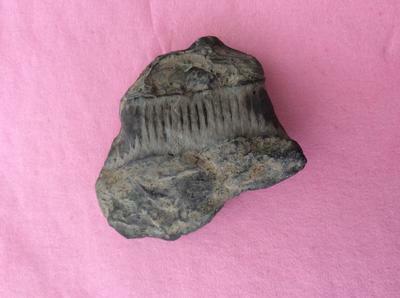 We think based on the links you gave us, the fossil my daughter found is a crinoid. What a great resource this site is. Thanks everyone for assisting us. My daughter is super excited about bringing these new details to her classroom teachers and peers. WV has lots of Paleozoic marine fossils. If you can pin point the area where you found the fossil on a map you might be able to narrow the possibilities. This web page may help.